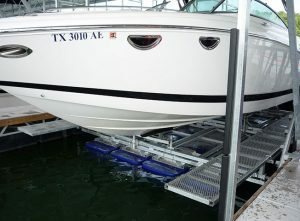 Custom walkways aid in covering and cleaning your boat. Full power back in option allows for backing in the slip under power. 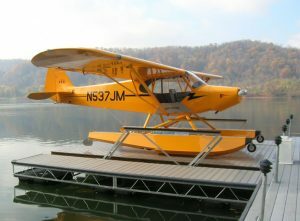 Protecting more of your boat, ease in boarding and making your boats cockpit and seating accessible for dock social gatherings. Tunnel Hull boats are the ultimate in performance. 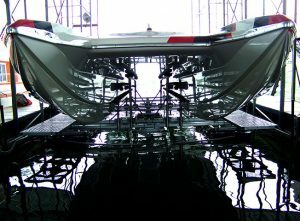 Custom tunnel hull boats have individual characteristics which require custom bunks. 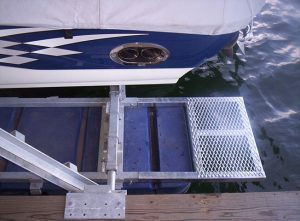 Service Platforms aid in servicing your lower unit and covering your boat. What do you want to lift? We invite you to bring your custom applications to the table. We love a challenge and look forward to working with you soon!